The Salvation Army recognizes that holidays can bring added financial and emotional stress for families in need. Consequently, we offer a variety of services to help families and individuals have memorable holidays, from food baskets and gift cards to gifts at Christmas. As a result, the week of Thanksgiving, The Salvation Army’s signature Red Kettles, manned by bell-ringers like you, can be spotted at numerous stores throughout our Connecticut and Rhode Island service area. This annual effort is The Salvation Army’s biggest fundraiser. All of the funds generated through this event stay in the respective communities they were generated in to support our Christmas assistance and other emergency assistance programs. They also provide assistance to those in need throughout the winter months. This campaign represents the community spirit of giving at its best - through the funds that are raised and the hundreds of volunteers who make this effort possible. If you live within our division and would like to either get involved with or participate in any of these programs, please contact your nearest location, in either Connecticut or Rhode Island, operated by The Salvation Army. Below is a brief summary of some of our programs and how you can get involved. Greater Hartford Area Services has a very detailed overview of its volunteer opportunities for the Thanksgiving and Christmas holidays. Please click HERE for more information on how to get involved. Giving to others is SO much better than receiving (especially during the Christmas holidays) when you know families are hurting. The families you help through supporting or volunteering for our Red Kettle Campaign may be without food, facing eviction, or unable to pay their monthly bills. They may have lost a job or are helping a loved one through a critical illness. By volunteering be a bell-ringer at a Red Kettle for just a few hours, you or your service group will make a huge difference in the lives of those in need. So little of your time can make such a big impact on others. If you live in Rhode Island, click HERE to register to ring online at a Red Kettle location in your community. If you live in Connecticut, click HERE to find your Salvation Army location nearest you and inquire with them on opportunities. 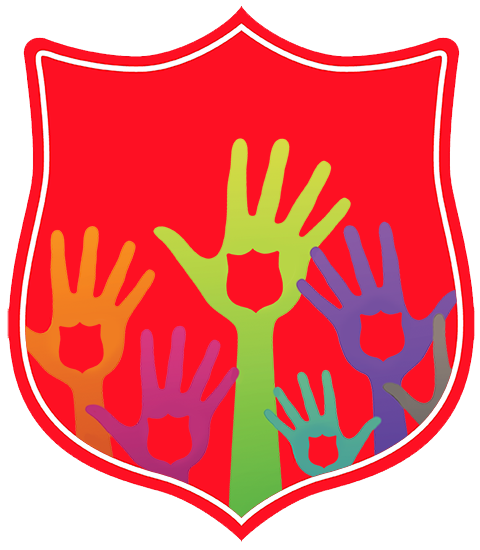 The Salvation Army’s Southern New England Division provides various types of help through its holiday assistance programs. For example, each Christmas season, various Corps Community Centers and Service Units run Angel Tree and Adopt-a-Family programs to serve people who are less fortunate from the community. Those who cannot afford Christmas gifts for their children apply to these programs in October. They are required to bring specific information and documentation (i.e., proof of I.D., income, and number in household) to be considered for the programs. Most receive Christmas gifts through Angel Tree, while some who are in desperate need are served not only gifts, but also other items helpful for enjoying a holiday season through Adopt-a-Family. For more details on Adopt-a-Family, click HERE. Similarly, for more details on Angel Tree, click HERE. The Salvation Army’s Red Kettles have been an American tradition since 1891, helping to raise financial support for critical Salvation Army programs and services year round. Our Mobile Red Kettle Campaign allows you to host your own personal red kettle, online, or donate to one to benefit your local community. You become a vital part of our holiday efforts when you help those in need by sharing or filling our Mobile Red Kettles with donations from family, friends, and colleagues. Click HERE for more information, including a listing of Mobile Red Kettles in Connecticut and Rhode Island. Additionally, many operations of The Salvation Army offer warm meals on both Thanksgiving and Christmas. Another food-related offerings include Holiday Food Baskets. These baskets are distributed throughout the holidays to individuals and families, including: Thanksgiving – food or gift cards for a Thanksgiving dinner with all of the trimmings; Christmas – food or gift cards to cover several days of meals, including a celebration dinner; and Easter – food or gift cards to make a holiday dinner available for the whole family. Such programs are always looking for volunteers like you! There are also nursing home visitations that take place during the holiday season. Every year, staff and volunteers visit numerous nursing homes, bringing with them gifts and friendly conversation. Likewise, they too are always looking for volunteers like you!